Vu has been craving for chocolate chip cookies so I decided to take on the cookie challenge. Let’s just say that cookies are not my forte. When I was still in pharmacy school, I failed miserably trying to bake chocolate chip cookies for a potluck. A classmate of mine, O, took a bite of my cookies and said he felt sorry for whoever would marry their creator. Then he kept on going without realizing that I had heard the entire commentary. When O was done, I quietly took ownership of those cookies. All of our friends roared with laughter as O’s face turned beet red and he started apologizing profusely for his comments. I laughed it off and admitted that I was not born a baker. Ever since, I am still intimidated by cookies. Today, I am using a bit of help from Thomas Keller’s Ad Hoc At Home. I altered the recipe a bit, using less butter and sugar to cut down on the calories. 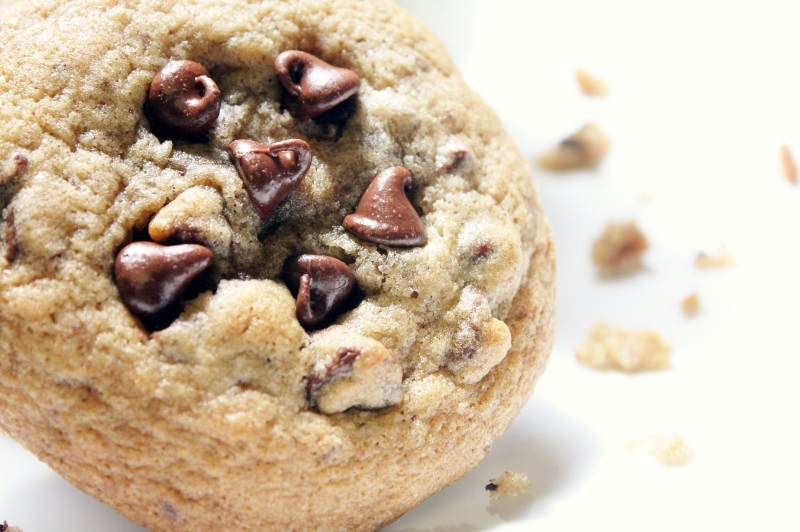 They turned out quite delicious, one of the best chocolate chip cookies ever! Quite moist and chewy! Too bad O is not around to taste them. Preheat the oven to 350˚F. 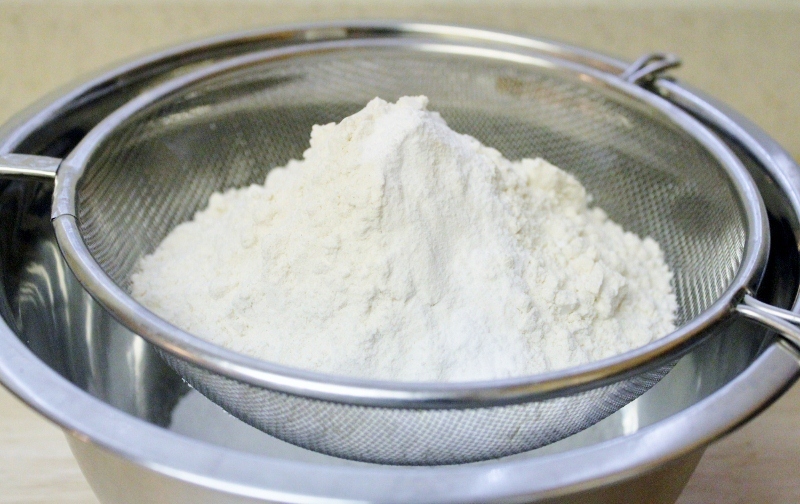 Sift the flour, baking soda, and salt in a mixing bowl. 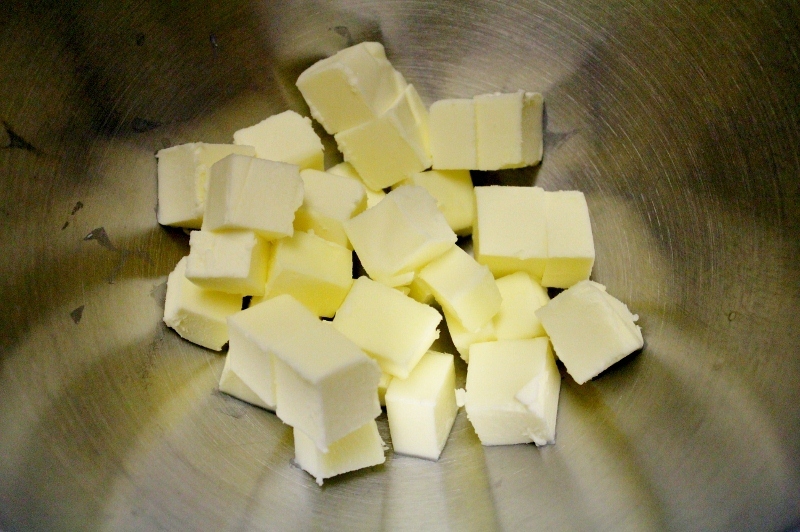 In a stand mixer, fitted with the paddle, beat the butter on medium speed until smooth. Add both sugars and beat until well combined. 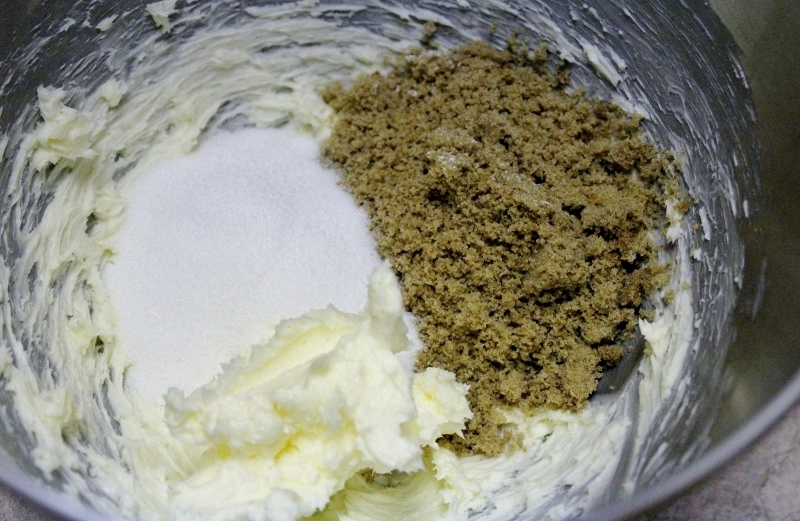 Add the eggs one at a time and then mix in the vanilla, scraping the bowl as necessary to blend everything. 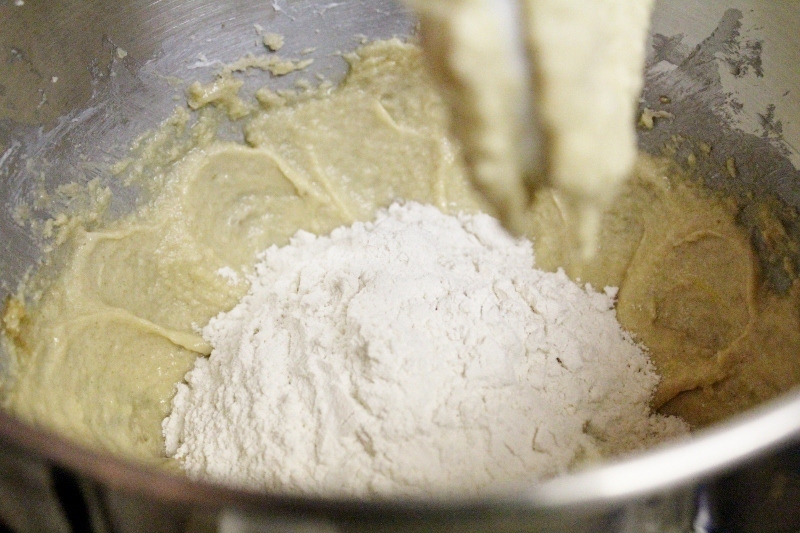 Add the dry ingredients and mix on low speed to combine. 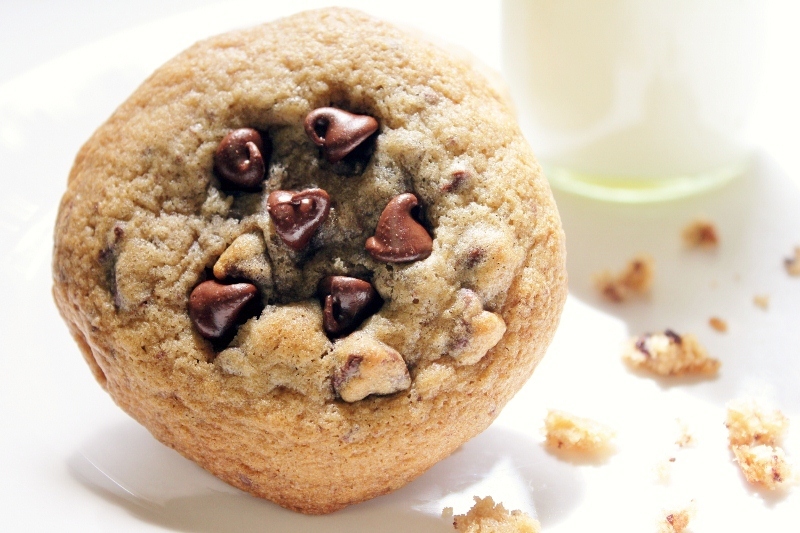 Mix in the chocolate chip. 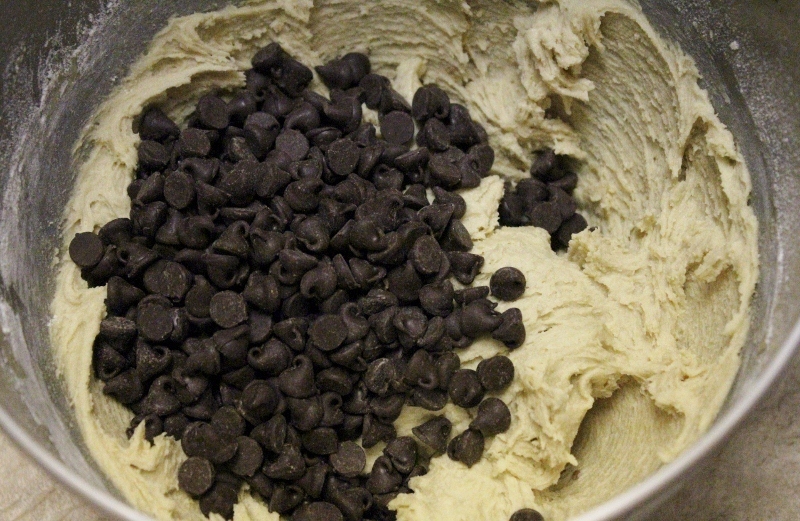 Use an ice cream scooper, take about 2 tablespoons per cookie and transfer the dough onto a baking sheet. 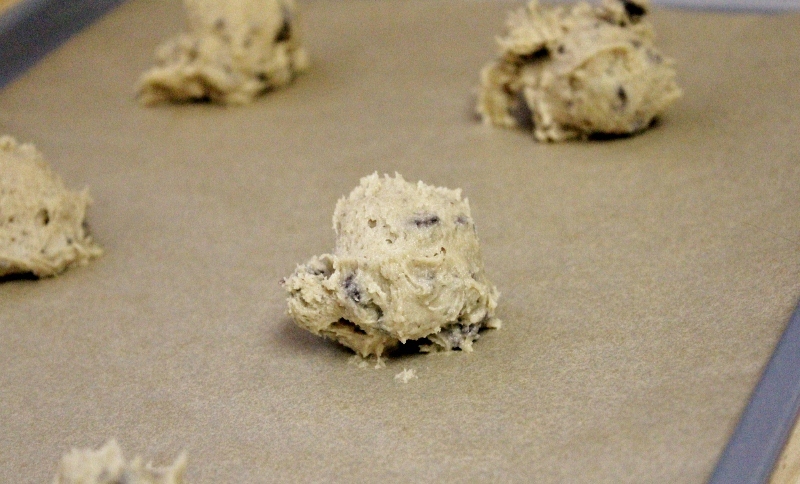 Leave about 2 inches between the dough because it will spread. Bake for 10-12 minutes, rotating the pans halfway through baking to ensure even cooking. Cool the cookies for 2 minutes. Enjoy them with a glass of milk.